I posted a couple days ago with a tutorial on building your own drawer slides. The dresser I built them for, I recently inherited from my sweet niece Morgan. Even though it needed some work, I was thrilled when they dropped it off! 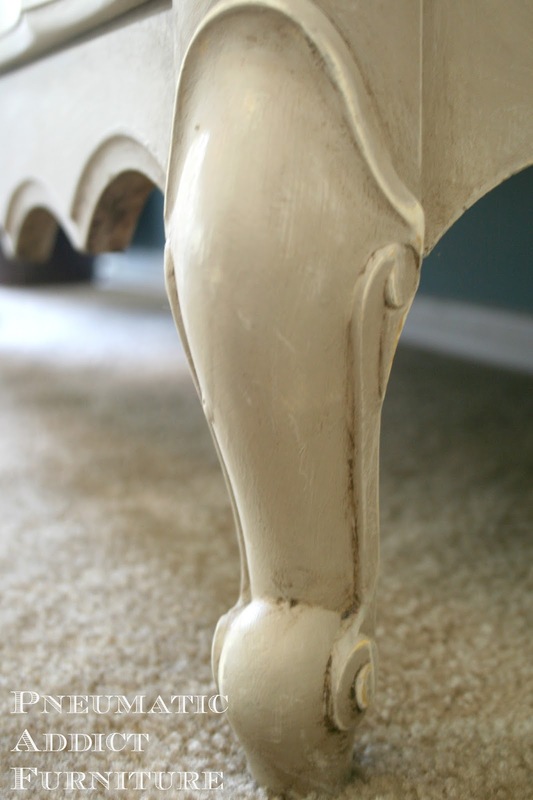 It's has a beautiful, serpentine front, and classic cabriole feet. The finish was super shiny and almost like plastic. I didn't want to spend the rest of my life sanding and priming, so the obvious choice was to use chalk based paint. I wanted to stay light, and in the beige family, but the yellowed, speckled paint and floral details had to go. 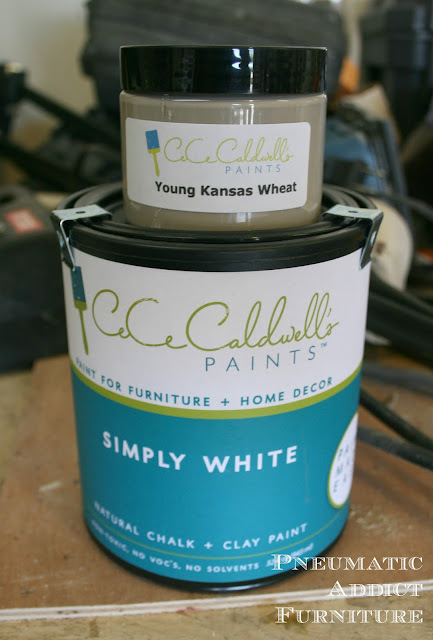 I mixed up a blend of 50% Young Kansas Wheat and 50% Pure white, both from CeCe Caldwell. 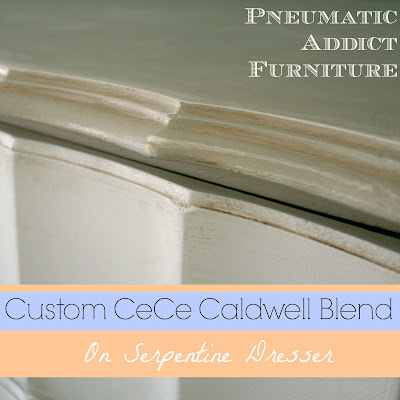 I brushed on 2 coats of my custom color on the body, and 2 coats of Pure White on the drawer faces. I waxed everything with one coat of clear wax, one coat of my DIY antiquing wax. I added a bit of light distressing to bring out some of the details. The original, brass hardware was in great shape and worked well with the new colors, so I went with it. 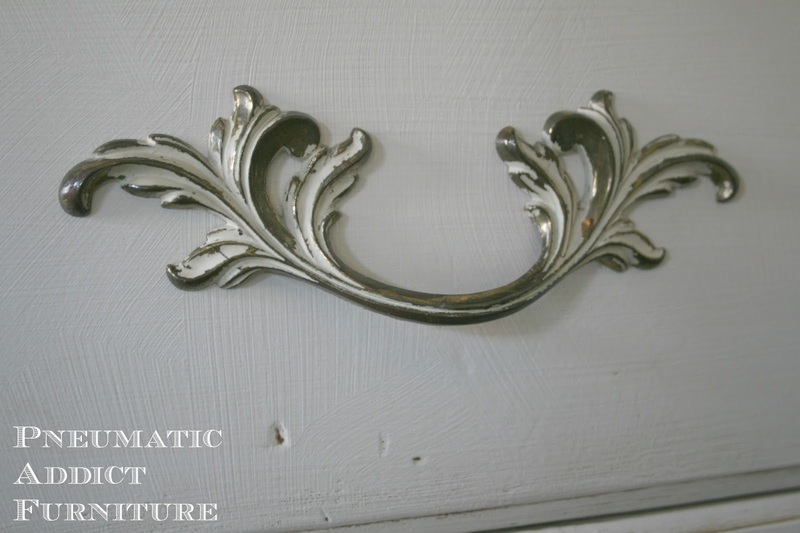 I love how soft and feminine it looks and I love the hardware. I want to marry this dresser!!! I loooooooove it!! Great lines to begin with, but your paint job makes it even better. Well done!!! Hey girlie! Things are settling down some on this end--aT laST! Thanks for the well-wishes! 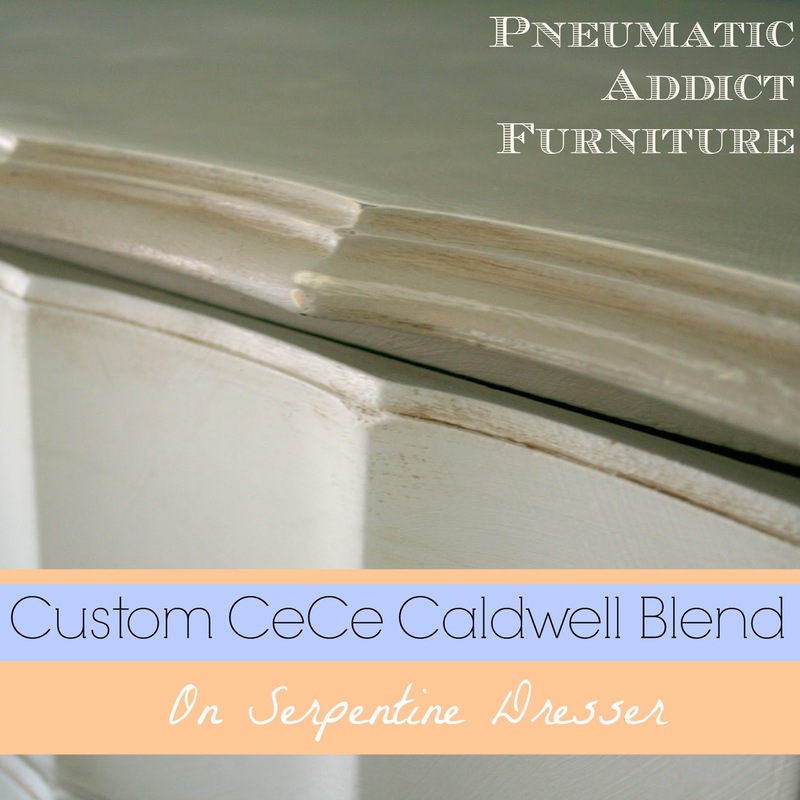 LoVe the dresser--always cRAzy about a serpentine front! Your color combo looks like my fAv Revere Pewter/Alabaster White! Classic, beautiful, timeless! Lucky niece! Hi there, just stopping by from re-tiqued@blogspot.ca I found you from MMS. 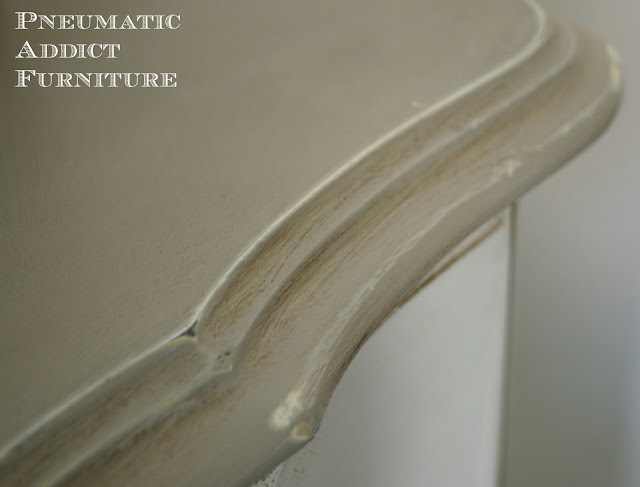 Firstly, thanks so much for the tutorial on drawer glides! I have been in need of them many times. 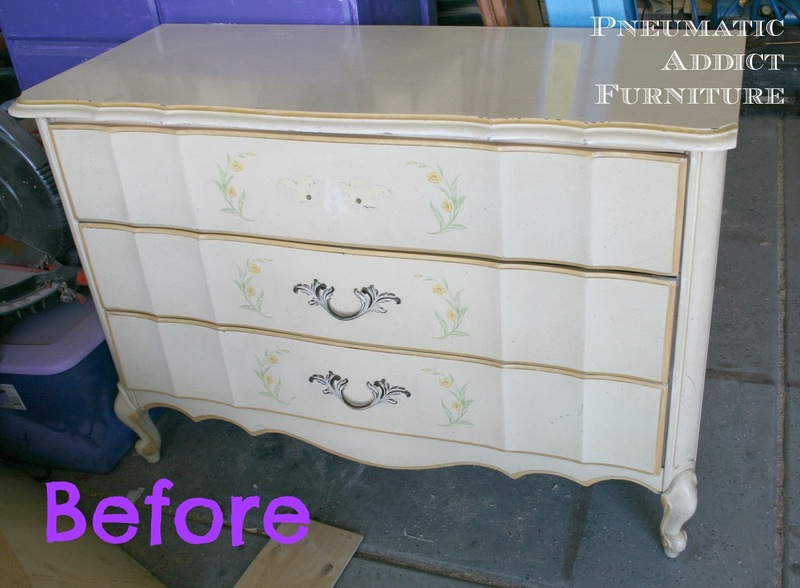 I actually bought an old $15 dresser once that was in perfect shape, but was missing a drawer simply to salvage it for parts! 9 perfect drawer glides, 8 great pieces of hardware, 4 great legs which I transferred to another dresser. But alas, my inventory of glides is depleted, so I will need to try out your method soon! So beautiful, well done, isn't it rewarding to redo a piece! A happily ever after if I ever saw one. :) Thank your for sharing! Love it! And it reminds me of the dresser in my bedroom growing up. I'm visiting from the DIY Sunday Showcase. 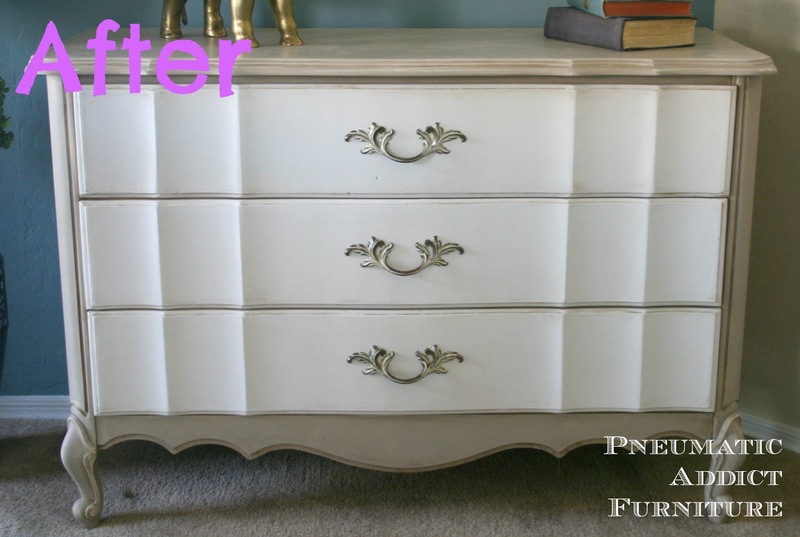 This dresser is pretty! Love the color! I saved this picture I liked it so much!! Very, very nice! This is beautiful!! Pinworthy!! 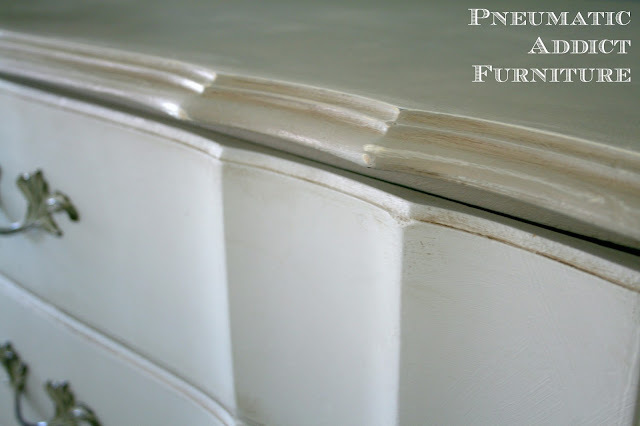 I love furniture redos!! Thanks for sharing on DIY Sunday Showcase! Totally beautiful !! Love the outcome !! Your Dresser was the most viewed piece at the Furniture and Paint Party!! 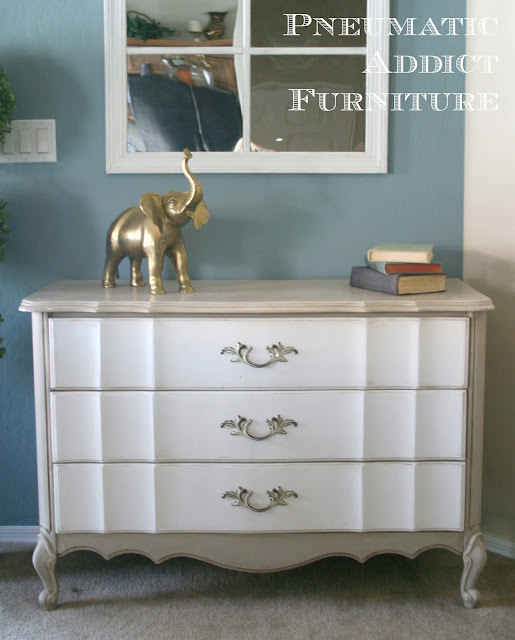 I am featuring this beautiful Dresser at the Party starting tonight at 9pm MST! Thank you for linking up!! I am featuring your dresser makeover today on my blog. Thanks for linking it up. I hope to see you tomorrow for another link party.